Phil Taylor will renew rivalry with Raymond van Barneveld in the pick of this Thursday’s third round of Premier League fixtures at the First Direct Arena in Leeds and we reckon ‘The Power’ will have the edge over his old adversary. Both players followed up opening-night wins with a draw last week and there was little between their three-dart averages in Nottingham. However, Taylor did impress more in the finishing department against James Wade, with endings of 142, 121 and 104 as he recorded a 42.86 checkout percentage whereas Barneveld was down at 27.27 per cent and didn’t have one ton-plus finish versus Kim Huybrechts. 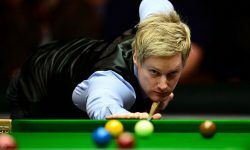 Taylor will also be fired up to avenge a 5-3 defeat in the World Championship quarter-finals at Alexandra Palace in December as he bids to qualify for the play-offs in what will be his final Premier League campaign. “It’s still special, more so than anybody else to be honest,” admitted Taylor, who is 6/5 to come out on top. “Raymond’s the one I enjoy playing more than anybody – it’s the old memories of when I first made my name and when he first made his. Defending champion Michael van Gerwen stretched his unbeaten run in televised matches to 39 when outclassing Peter Wright 7-3 a week ago and is long odds-on to brush aside Jelle Klaasen in Leeds. However, punters are sure to take an interest in the 8/1 available for a nine-dart finish in this match after the world champ incredibly landed two in a UK Open qualifier against Ryan Murray in Wigan over the weekend. Only a handful of spectators witnessed that feat, matching Taylor’s double in the 2010 Premier League final, but a perfect leg here would raise the roof in front of a packed-out Yorkshire crowd. The action begins with Gary Anderson taking on Wright and we’re snapping up 11/10 for the Scot to claim victory by more than 2.5 legs in this fixture. Anderson has so far registered a high-class draw with Van Gerwen and a commanding 7-3 victory over Klaasen, when his three-dart average topped 100 and his checkout percentage was a useful 53.85. Wright’s average was down below 90 when he was lucky to escape a whitewash against Van Gerwen last week and his opening win over Klaasen was a low-quality affair. In the night’s other two matches, Wade goes up against Adrian Lewis and Dave Chisnall takes on Huybrechts.